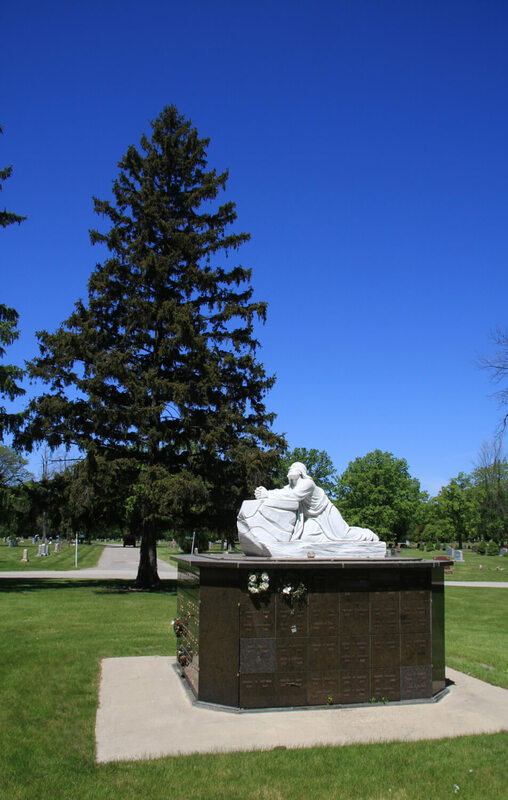 Roseland Park Cemetery has been designated by the state as a Perpetual Care Cemetery, meaning that the resting spaces for you and your loved ones will be maintained from now until the end of time. Our commitment to you is to care for you and your family's needs throughout an experience of loss. We are also dedicated to assisting you in the pre-planning process to alleviate unnecessary burdens from your family in a time of grief and gain peace of mind. As a Perpetual Care cemetery, the Roseland Park Cemetery staff knows that your care does not end when the funeral service is over or when the tomb is closed. Whether you are looking for a resting place for a loved one who has recently passed away or you are planning for your own future, our dedicated staff promises to treat you and your loved ones with the respect and dignity that you deserve. They serve with a level of compassion and empathy unparalleled in the industry and will care for you and your family long after service is acquired. Our counselors possess abundant knowledge and innate ability to ensure your needs are met beyond your satisfaction. They are able to provide options within your budget while ensuring the highest value for your investment. Roseland Park Cemetery and its 27 sister cemeteries staff only the best in the service industry. We are renowned to provide a level of service that is unsurpassed. We assure that your counselor has been carefully selected and trained to care for your needs at a time of immense grief. Roseland Park Cemetery is proud to maintain a relationship with you and your family long after loss has occurred. Roseland Park Cemetery is committed to ensure that you are prepared for the inevitable. Most Americans agree that pre-planning is a good idea. However, neglecting to pre-plan leaves families with important and costly decisions while grieving loss. We can help you remove that burden and help you start planning TODAY.